Last updated: 21/04/2019 02:38:54 UTC. 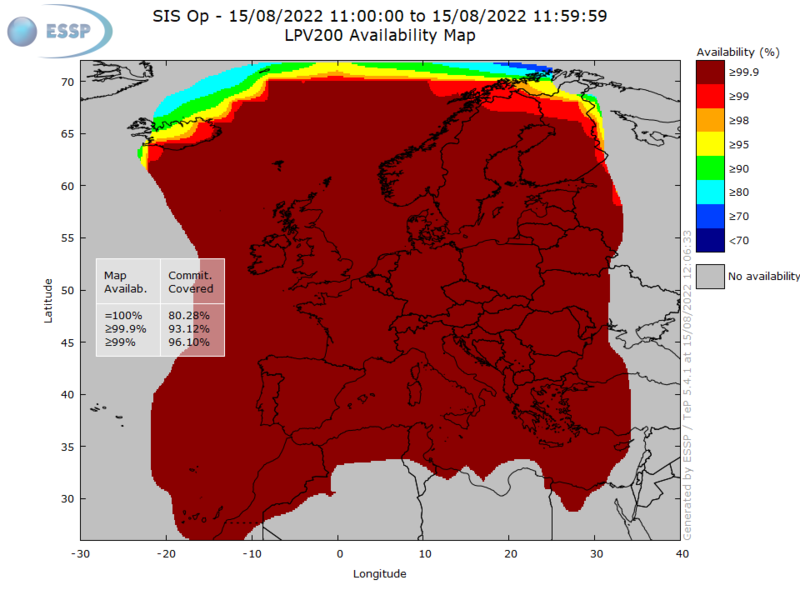 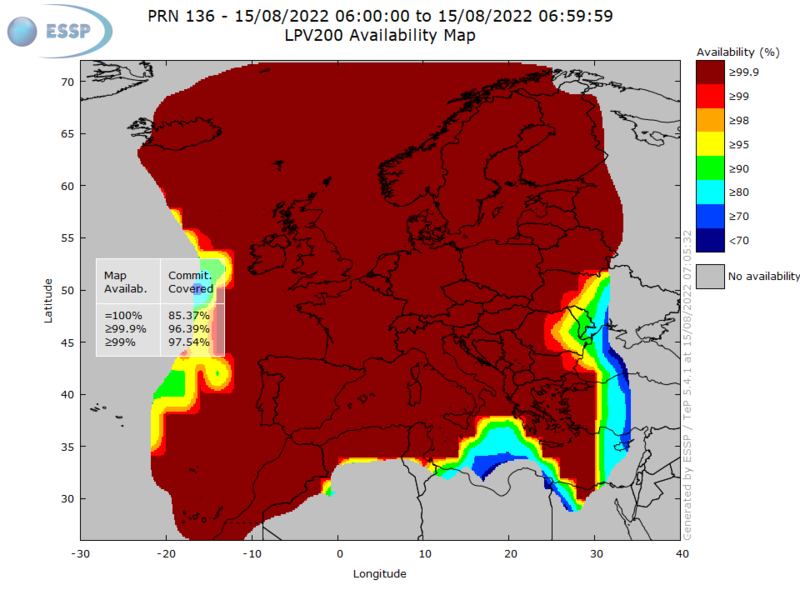 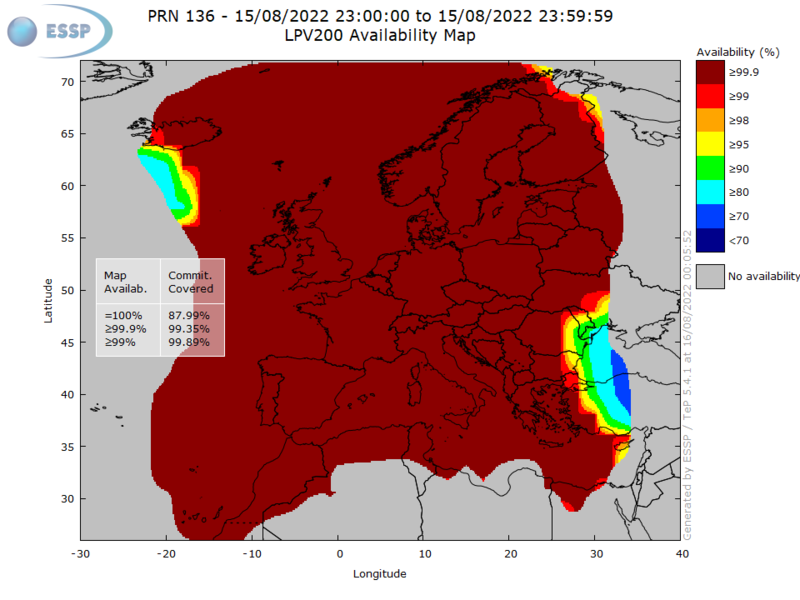 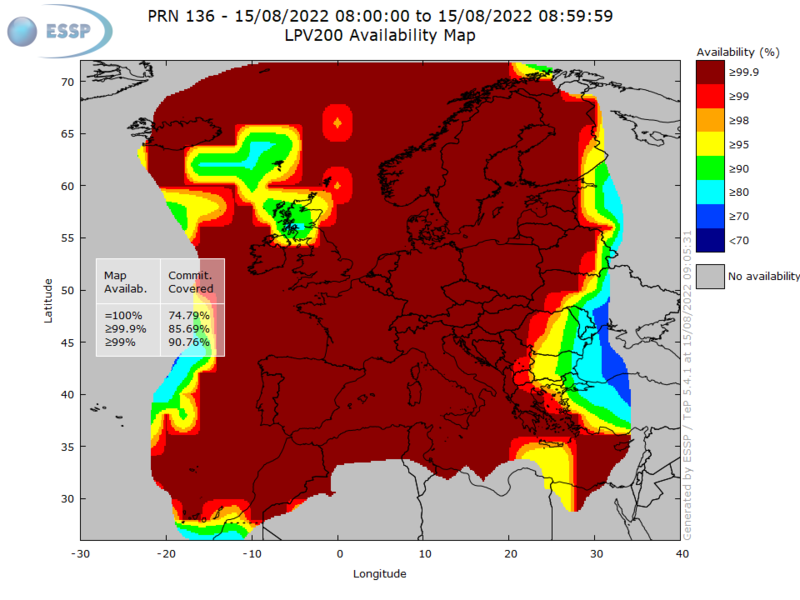 EGNOS LPV200 Availability is defined as the percentage of epochs which the Protection Level are below Alert Limits for this service (HPL<40m and VPL<35m) over the total period. The pictures present the current EGNOS LPV200 Availability over the last 24 hours and the last hour and the corresponding VPL and HPL for the operational GEO satellites and Combined GEO satellites.